The new 5.0 Mustang was unveiled to widespread praise and accolades. 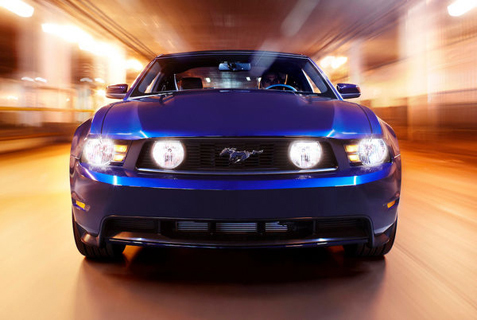 Now, the Mustang’s halo may be drooping as transmission issues come to light. A few months ago, there were mumblings on the internet about transmission problems that included grinding gears and expensive sounding noises. Ford said everything was “ok” and recommended a fluid change. However, the problem has become large enough to attract the attention of the NHSTA. allege that the erratic shifting behavior almost caused a collision with adjacent vehicles. One rumored reason for these problems is Ford’s decision to switch production to China for the Getrag transmission. After the NHSTA investigation is complete, they will conclude on whether this is a true problem, or just a bad batch of transmissions. A reputation blow like this, to Ford’s flagship model, cannot happen while they are trying to show buyers that they are just as reliable as the Japanese.